Formulated as a total spray and quick wipe easy clean, everywhere around the house. The combination of concentrated extracts and essential oils, known for their antibacterial and antifungal properties helps keep germs at bay. 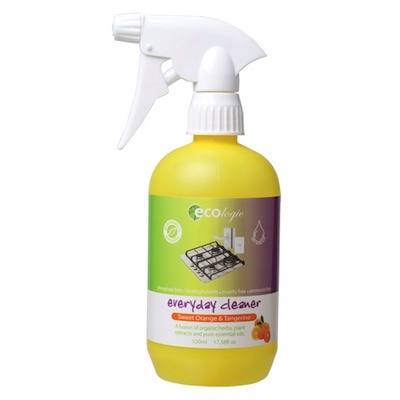 Use ECOlogic Everyday Cleaning Spray to remove finger marks from stainless steel and fridge doors, quick spills on to bench and cook tops. Use it to remove finger marks from around door handles, and light switches, to rejuvenate cabinet doors dining and coffee tables.